And that means we’re turning to indoor activities and cozy evenings. With colder weather, we’d like to feel snuggly and warm. We start making stews and soups and hot drinks. With the holidays approaching, things get busy. Sometimes you might have extra milk because you’re so busy running to concerts, practices, and shopping for gifts that you’re just not there to drink it. Here are some fun warm and holiday things you can do with Pasture Nectar milk, whether you have too much or not. Our customer Shawn Askinosie of Askinosie Chocolate fame has graciously allowed me to share some hot cocoa recipes with you, including his personal favorite. Marrying Pasture Nectar Farm milk and Askinosie chocolate makes for one sweet cup of delicious winter warmth! Of course, you have to heat the milk which means it’s not raw anymore, but you have to do what you have to do. Just don’t boil it! You’ll wow your family and friends when you make this easy eggnog recipe for the holidays (or anytime). You will definitely be able to tell this is NOT store-bought eggnog. Made at home with love! Whisk the egg yolks and sugar together in a medium bowl until light and creamy. In a saucepan over medium-high heat, combine the cream, milk, nutmeg and salt. Stir often until mixture reaches a bare simmer. Add a big spoonful of the hot milk to the egg mixture, whisking vigorously. Repeat, adding a big spoonful at a time, to temper the eggs. Once most of the hot milk has been added to the eggs, pour the mixture back into the saucepan on the stove. Whisk constantly for just a few minutes, until the mixture is just slightly thickened (or until it reaches about 160 degrees F on a thermometer). It will thicken more as it cools. Optional: to use the egg whites in this recipe, rinse the yolk residue out of your mixer and beat until stiff peaks form. Fold into the eggnog. Or use them in a different recipe. Pour the eggnog into container of choice and cover with plastic wrap. Refrigerate until chilled. It will thicken as it cools. If you want a thinner, completely smooth consistency, you can add the entire mixture to a blender with 1 or 2 tablespoons of milk and blend until smooth. Serve with a sprinkle of cinnamon and fresh whipped cream, if desired. Store homemade eggnog in the fridge for up to one week. Hey, where’s the Askinosie in the eggnog? Oh. You were paying attention. Good for you! That’s how you keep your farmers on their toes. 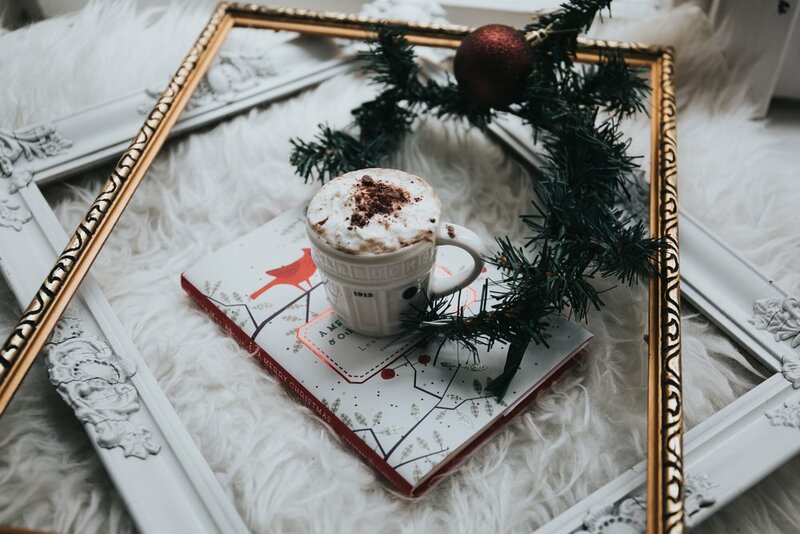 Make whipped cream (use Pasture Nectar cream if you can get your hands on some), dollop some on the top of the eggnog (or the hot cocoa), and finish off with a few grates of any Askinosie chocolate bar. Substitute 1/2 t. peppermint extract for the vanilla extract in the eggnog recipe, and grate some chocolate into the eggnog while cooking for a delicious peppermint patty variation. Garnish with small candy canes. Add rum extract instead of the vanilla extract, or keep the vanilla extract in and add 1 T. of a high-proof alcohol. Brandy and rum are traditional favorites. I’ve seen recipes that call for as much as 1.5 CUPS of alcohol for this recipe. I’d start with 1 T. and go from there. For a fun party drink all ages can enjoy, put peppermint ice cream in a punch bowl and pour eggnog over it. Pour Sprite over all. You can decorate the sides of the bowl with candy cane stir sticks for a fun look. Have tons of fun making and enjoying these drinks with your family and friends this holiday season and throughout the winter. Actually, if you have milk, cream, eggs and sugar on hand (and Askinosie chocolate), you can enjoy eggnog and hot cocoa any time of year. Thanks again to Shawn and the team at Askinosie Chocolate in Springfield. Disclaimer: the farm doesn’t get anything from Askinosie for promoting their products; just one small business helping another, and keeping food production (and consumption) local, except for the cocoa beans. Shawn is able to help many hard-working folks in other countries get more than a fair price for their goods with his Direct Trade program. Love this! If you go off to look at Askinosie Chocolate, don’t forget to come back here and make these yummy drinks. I’d love to hear how they turned out for you, and any tweaks you decided to try.